It was a slow day on the water again today but at least a few crappie were willing to cooperate. Although it was a nice afternoon, the temperature was suppose to drop a bit after dark, enough to put a chill in the air, so I brought my hub shelter. Set up well before dark, I started hole hopping through the few that I had cut. 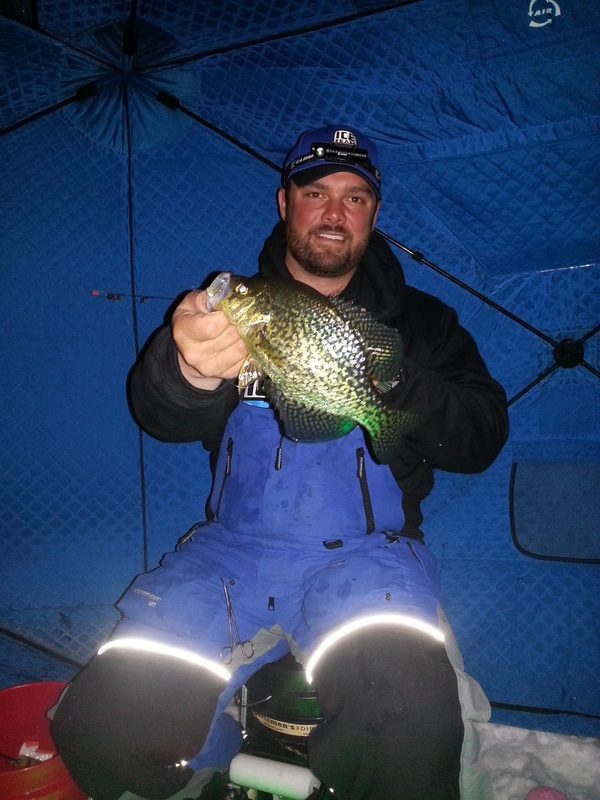 With plenty of pumpkinseed and bass right off, I felt that I would have crappie around after dark. 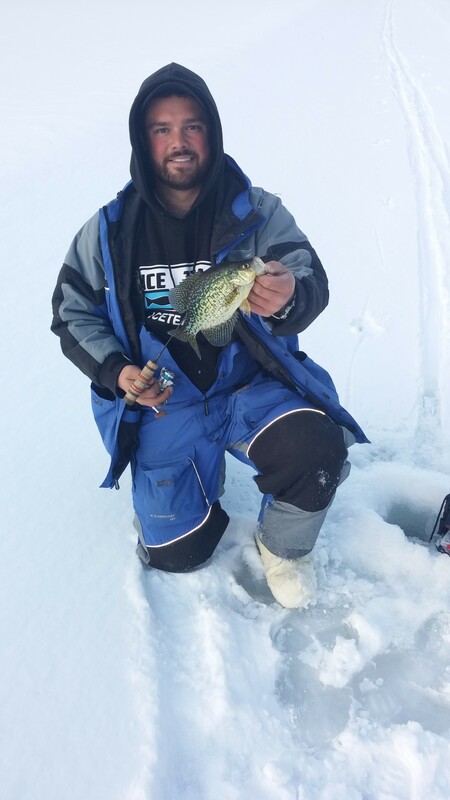 After fishing two holes, I stuck into a crappie and things got a whole lot better! As the sun was setting, I hunkered down into my shack and got set up for the night. I struggled convincing anything to bite after the sun set but most of what I caught were crappie. I also hooked up with two pickerel that I broke off on trying to turn them up the hole. I fished a little further from the light tonight and was able to do a bit more sight fishing. While I couldn’t see great, the fins on the fish were highly visible. Especially the white edge or the pectoral fins on crappie!